The Vox amPlug series was a line up of nine head phone amplifiers for guitar or bass designed to plug directly into the input jack of the instrument. Seven of the amPlug models included analog modeling to simulate the performance of a specific amplifier. 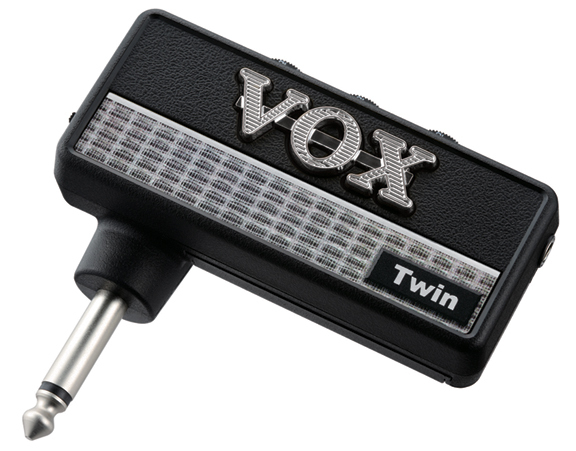 Another amPlug model was modeled after the tones of the legendary guitarist Joe Satriani. Yet another amPlug model provided an acoustic guitar simulation. Each amPlug offered up to 27 hours of battery life from two AAA alkaline batteries. All models included gain, volume and tone controls. The amPlug also included a 3.5mm head phone jack and a 3.5mm input jack for mp3 playback. Dimensions: 3.39" x 3.15" x 1.22." Weight: 1.41 oz. A brief description of each of the nine amPlug models and their release dates follows. 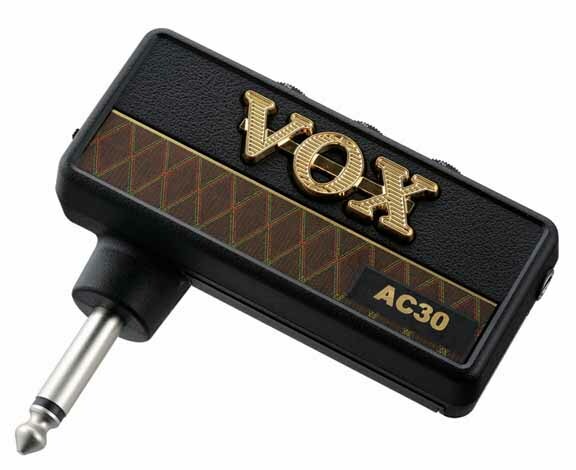 amPlug AC30 - September 2008 - The amPlug AC30 offered the tones of a "Top Boosted" AC-30 combo. 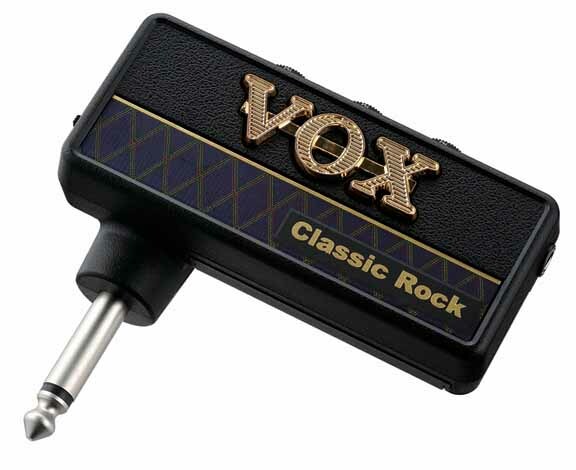 amPlug Classic Rock - September 2008 - The tone of the amPlug Classic Rock was based on a legendary 100 watt British stack. amPlug Metal - September 2008 - Vox described the amPlug Metal as having a "high-gain" California tone. amPlug Lead - September 2008 - The amPlug Lead added a slight digital delay to the sound of the amPlug Metal. 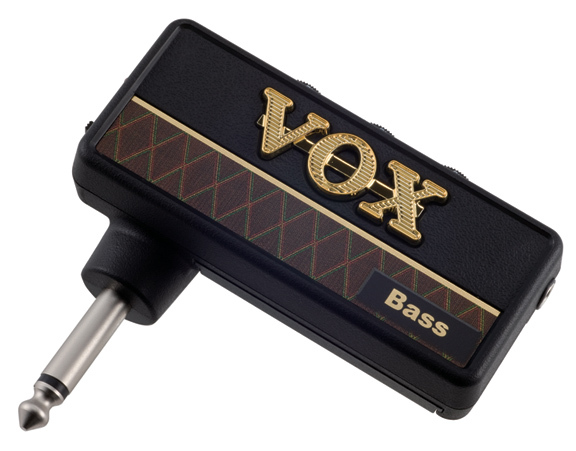 amPlug Bass - September 2008 - Designed to replicate the tone of an AC-100 bass amp. Included a compressor/boost effect. 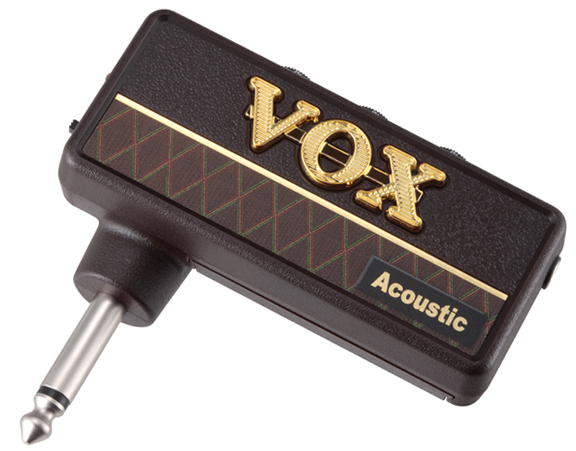 amPlug Acoustic - November 2008 - A "Fat/Bright" switch offered two types of acoustic tones and a electric/acoustic blend control. 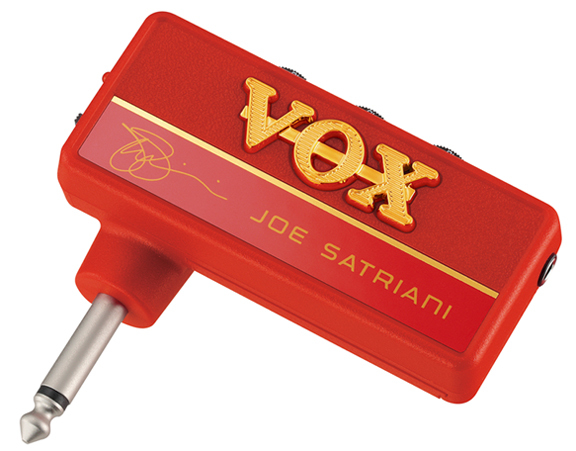 amPlug Joe Satriani - January 2011 Vox claimed this amPlug offered two signature sounds with Joe Satriani's seal of approval. amPlug Night Train - January 2012 - Offered the high-gain sound of the Vox Night Train amp and a "Bright/Thick" mode switch. amPlug Twin - January 2012 - The amPlug Twin recreated the sound of the classic American clean 2 x 12 combo amp. Included stereo chorus.